ISLAMABAD, PAKISTAN—Pakistan plans to fence its long, porous border with Afghanistan after construction of checkpoints at all established crossings is completed, a top government adviser said Tuesday. Tariq Fatemi, a close aide to the prime minister on foreign policy, said in Islamabad that “border management mechanisms” were being implemented not to close the frontier but to facilitate “an orderly and documented” cross-border movement, and to ensure safety and security of the two countries. Pakistan has been constructing checkpoints at several locations on the 2,600-kilometer border, known as the Durand Line. Activity at the main Torkham crossing this month triggered deadly clashes between border forces of the two countries. The fighting left several soldiers dead and dozens more wounded on both sides. The latest and previous border tensions have all stemmed from Afghanistan’s historic opposition to the 1893 demarcation by former British rulers of the Indian subcontinent. 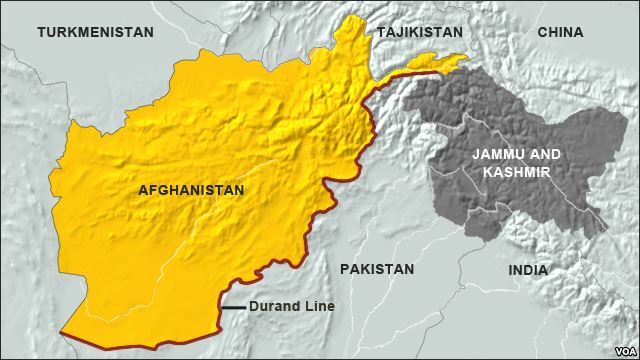 Pakistan, however, maintains it inherited the frontier after gaining independence from Britain in 1947 and believes the Durand Line is an international border. Top Pakistani and Afghan officials have held meetings at various levels to try to prevent future border skirmishes and resolve mutual differences. Fatemi said the situation had gotten better, particularly after last week’s meeting between Pakistan President Mamnoon Hussain and his Afghan counterpart, Ashraf Ghani, on the sidelines of a regional conference in Uzbekistan. “I am very confident that the decisions taken by them will bring about mechanisms and arrangements that should restore a degree of normalcy and the possibility of further progress towards an understanding between the two countries,” said the Pakistani adviser. Fatemi again rejected allegations that while Pakistan’s military is cracking down on anti-state Islamist militants, commonly referred to as Pakistani Taliban, it continues to secretly support the Afghan Taliban and provides shelter to insurgent leaders on Pakistani soil. Pakistani officials insist the border restrictions are critical because they will also help address mutual allegations of supporting militant groups in other countries. He said that Pakistan is also urging the international community to assist in the repatriation of nearly 3 million Afghan refugees living in the country, reiterating Islamabad’s concerns that militant and terrorist groups are using the refugee camps as sanctuaries.